Yesterday I told you my stroller decision, today I'll tell you my car-seat decision! Baby Jogger has a universal car-seat adapter that works with many different brands of car-seats. I have decided on the Graco Snugride 30, primarily because it has a great safety-rating and as far as I can find, it is the lightest car-seat on the market. At 7.5 pounds, it will be easy for me to carry around with a growing baby. Some of these car-seats weigh upwards of 11-13 pounds without the baby even in it!! Now, I know I need to work on my muscles, but if a car-seat is too heavy for me before I even have a baby in it, there is going to be a problem. I really, really wanted to like the Chicco car-seat because I know they have an extremely high safety rating and I think they look really nice. But in the end, carrying the two car-seats one after the other, I just felt more comfortable holding the Graco. 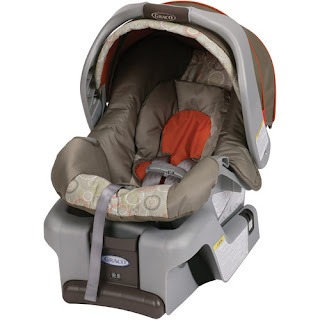 Graco has been around forever, and I really wanted the lightest while still being one of the safest car-seats I could find. I would have liked their newer "Click Connect" car-seats, but those are not technically compatible with Baby Jogger car-seat adapter. Though I have been told by friends that they use the click connect just fine with it, it still makes me uneasy. This is just fine for me, and I'd rather be safe than sorry. Finally, I decided to also register for the Baby Trend Single Snap-N-Go stroller system. This will be nice for quick, light trips to the grocery store and for travel for the first year while the baby is in a car seat. 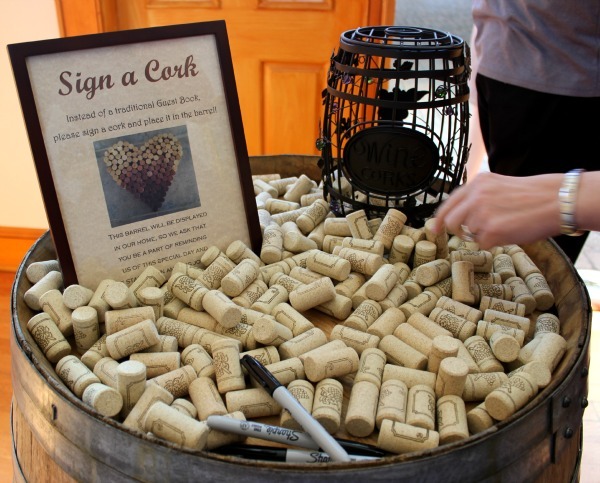 I've heard many people who love to use the click n' go systems in the beginning. They're lightweight (weigh about 11-14 pounds) fold up into nothing, and are easy to just pop in and out of places quick with a baby. Then, you graduate to the stroller when the baby is older and able to holder his or her head up on their own. 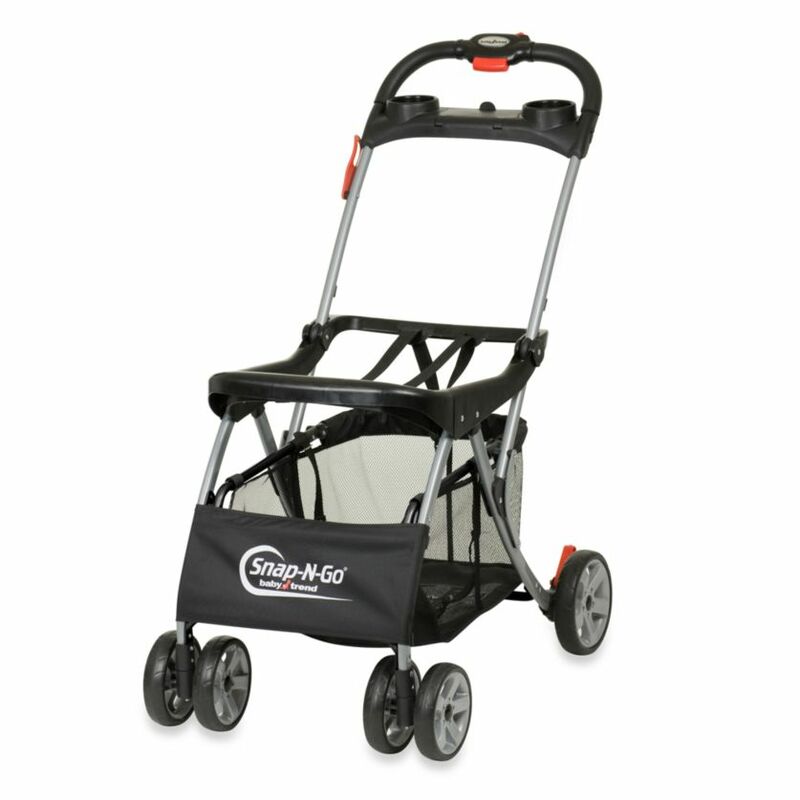 Did you use a snap-n-go stroller? What car-seat did you decide on? So many decisions and you research things thoroughly! Aren't you glad you don't have to decide on the baby's features too? Lol. 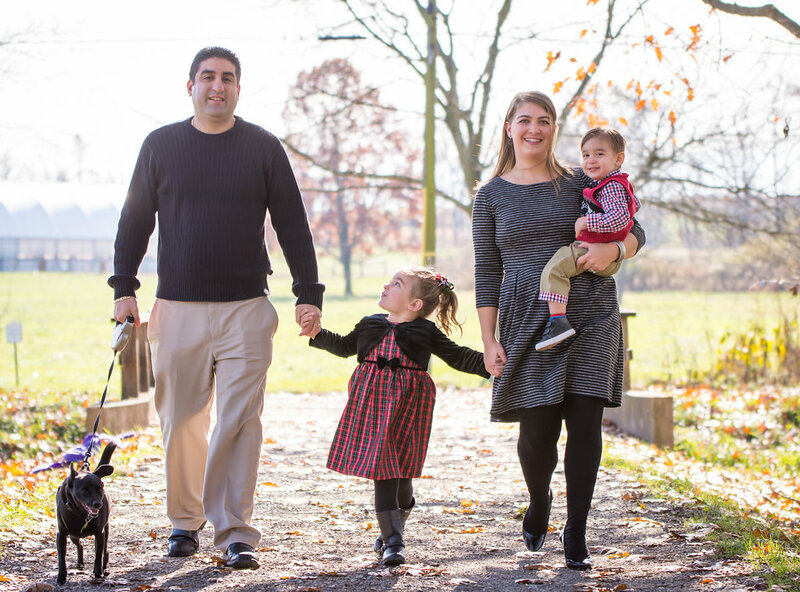 We put the Chicco Liteweight Plus. 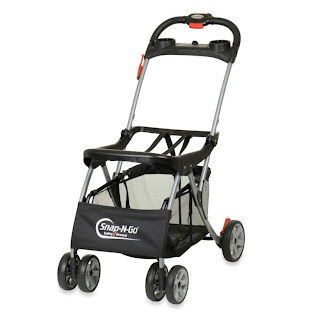 Instead of a snap and go it is compatible with a Chicco Umbrella stroller. The top portion of the stroller rolls down so you can use it as a snap and go when they are little and use the stroller when they get a little bigger. It is so easy to manuver. I'm also thinking of getting a jogging stroller down the road too. Just not sure which one. 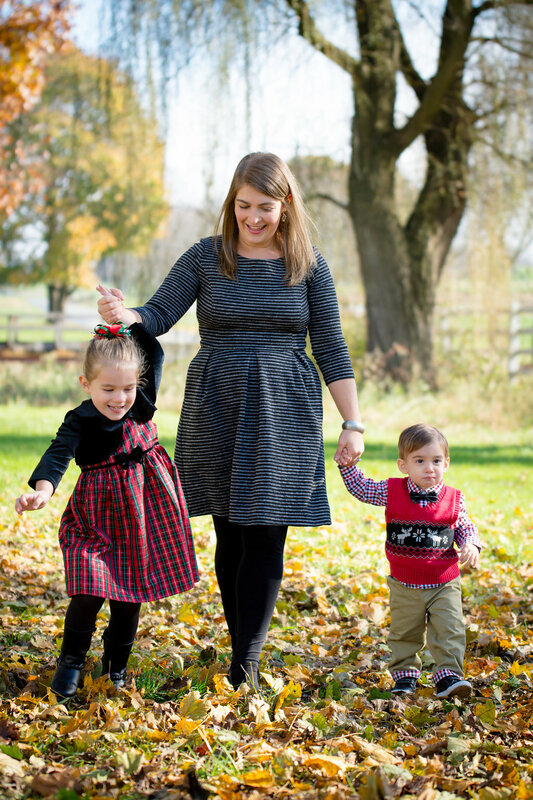 I actually hadn't checked out the chicco liteweight plus, but I just did and it looks like such a great option! I really love the look of the chicco carseats, especially. What color did you go with? We got one of those snap and go strollers from a neighbor for free and to be honest I think we used it twice, it just didn't ride as smooth as our bigger stroller which we could also snap the carseat into and once he was about 4 months old or so and could sit up better we started just putting him in the stroller without the carseat so the snap and go stroller wasn't useful after a few months for us. I like the concept though especially if you will be using the stroller a lot, we didn't in general since he was a winter baby and we didn't take him out in it much the first few months because of the weather. This is very helpful and useful information Shannon...I, too, will have a winter baby so maybe I won't need the snap and go as much as I think. I'll give it a test drive when I get these items for my shower and if I need to exchange it for the bar that converts my stroller into a travel system, I'll just do that...they're pretty close in price anyway. I never thought about how heavy these things are! I'd better start buffing up my arms before I'm even pregnant. Oh man tell me about it! I am sooooo weak right now, my arms have no idea what's in for them! So many decisions come along with having a kid. I honestly am not looking forward to that part, haha! Glad you found one that you are comfortable with! 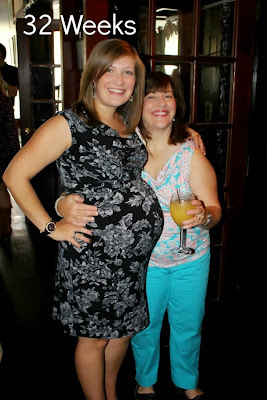 I wasn't looking forward to it too ..and I put off starting my registry because I knew once I launched into it, it would be a whole, big, all-consuming, world that I would obsess over every single detail....which, well, is exactly what happened. But once I got into it, it was kind of fun to do some research and figure things out. I'm sure I'm missing a thousand things that I have no idea I'll even need until the baby arrives, but there's only so much I can do and plan for ahead of time! In any event, when the time comes for you - be sure to ask me lots of questions....I didn't research all this stuff for nothin'! We decided to go with the Chicco Keyfit 30 only because I liked how sturdy it seemed. Heavier yes, but after talking to several friends I felt like it was the right choice for us. We also decided not to go with a snap and go stroller. We have our BOB and we'll get the attachment for it so the carseat will snap on to it. Personally, I didn't see the point in having so many options for strollers when really, we just need the one. We will get an umbrella stroller once he's big enough to sit up on his own and that will make it a bit easier too. All of these choices are so hard to make as a new parent to be and you just have to trust that you know what you want to do and not worry about what everyone else tells you to get or do! Late in responding to this...but wanted to make sure I did. I agree with you on the so many options and we really only need one. I'm going to test out the snap n go after I get it for my shower (it's already been purchased) but if I feel like it's not necessary and would rather just use my stroller (also already purchased!) then I"m going to return it for the car seat adapter that goes with my stroller - crazily enough the entire snap n go stroller and the ONE METAL BAR for the stroller are roughly the same price!